It’s the time of the year and many people would be going for holidays, taking a well deserved break and at the same time clearing leave. Aside from looking for luggage, some little add-ons like luggage tags and passport holders may come in handy. One time I was searching for a passport holder (until my friend went to Bangkok and had one custom made for me). Passport holders are useful to protect your passport- I know mine would have really gotten in a bad shape had it not been for the passport holder. Also I find luggage tags to be useful especially if you are using a normal looking luggage bag that can easily be mixed up during luggage claim. 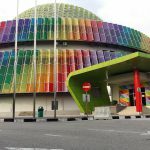 The cheaper alternative is to tie a colourful ribbon with a note, else another option is to get a luggage tag and attach it to your luggage with your contact particulars. It can come in handy if someone who found your luggage wishes to return it back to you. 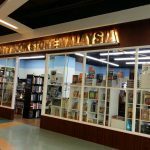 Therefore, I did get a little excited when I walked into a wholesale shop in Petaling Street (Jalan Sultan) that sells passport holders, luggage tags and fridge magnets. I just love looking at the passport holders and tags because I have not seen any shops that sells so many varieties of this and for such a cheap price. Even though this is a wholesale shop, it still allow to sell piece by piece. 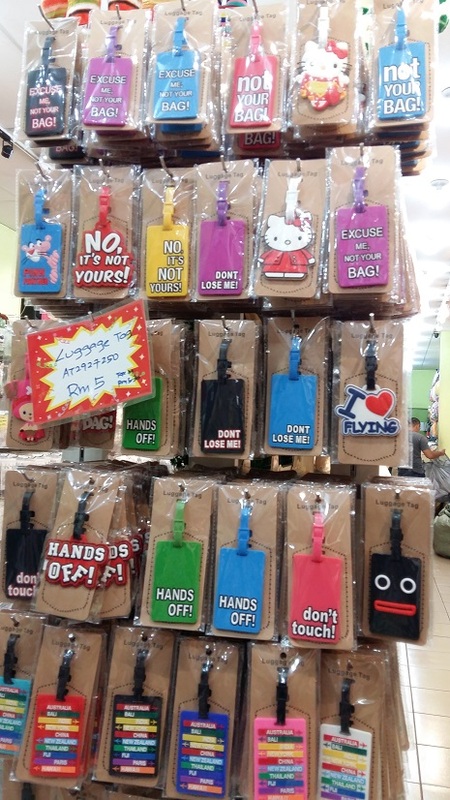 Note: Luggage tags can also be found at MrDIY shops, also at an inexpensive price. 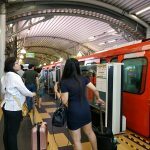 There are a lot of varieties of passport holders and luggage tags that are available online..
Then come the fridge magnets which 3 are for RM10 (1 for RM3.90). 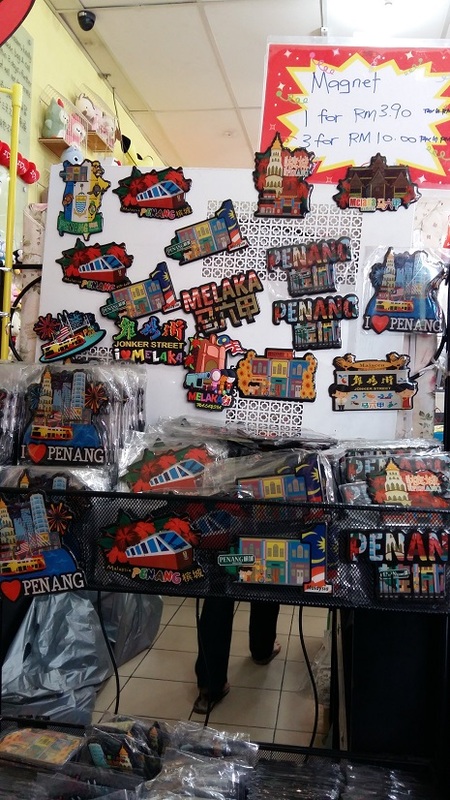 There are fridge magnets featuring Penang and Melaka being sold at this shop. 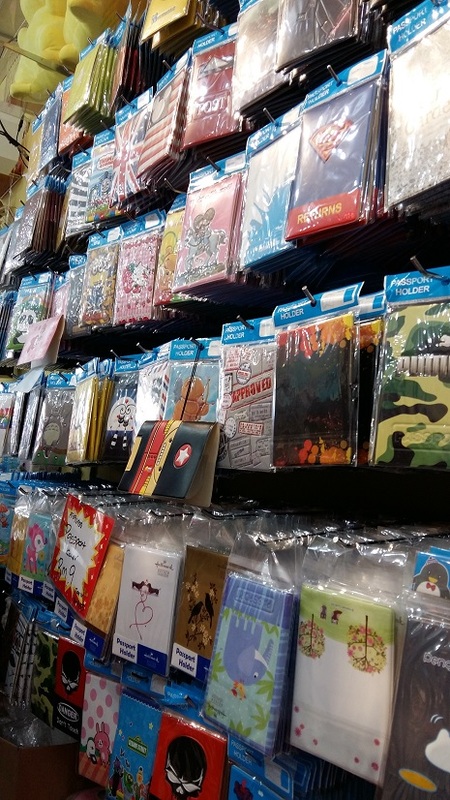 Of course if you go to Jonkers Street in Malacca, the fridge magnets are cuter as they have magnets in the shape of kebaya which is frequently worn by the nyonya ladies. However, the fridge magnets sold below are also quite colourful. Import wholesale for soft toys, fancy gifts, novelty items, premium custom made, custom made all kinds of casings.